Why Choose The White Magnolia Advanced Skin Care Institute? Having the Institute in a gorgeous, thriving spa allows the student to have more of a “true to life” experience. There is no better way to learn skills, customer service, sales, marketing, and safety than in an actual work environment where those criteria are daily expectations. The equipment and products used at The White Magnolia are top of the line. Our students learn and practice on the same equipment that our licensed professionals use in the spa. Nothing is second rate! The marketing and mentoring done by The Institute to obtain clients for and with the students offers the students an opportunity to build a book of potential clients to continue with after licensing. At The Institute, our students receive individualized care and education just like our clients! The curriculum for our Esthetics program is well thought out and organized. Our students always have a clear understanding of the expectations before them with ample time for preparation. Our students are always appropriately supervised in order to ensure safety and confidence for client and student alike. Cindy Tusa’s experience as a Nursing Educator in a Critical Care Unit means her students will be held to the same standards as an RN would be when it comes to safety and skill. Critical thinking will be fostered on a daily basis. Our educators have a wealth of knowledge and experience. They too are dedicated to educating our students in ways that enhances success as an Esthetician. 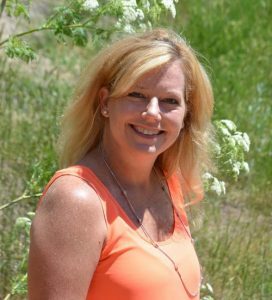 With nearly 20 years of experience in the nursing profession, Cindy Tusa has long since established herself as a professional with strong values as they pertain to customer service, quality, and education. After 5 years of critical care nursing at The Children’s Hospital of Colorado, Cindy transferred to Poudre Valley Hospital to work in the Neonatal ICU. She thrived at both hospitals as her passion for excellent patient care, compassionate care of the parents, and her desire to improve extremely stressful events for families was realized. Having been in leadership positions at both hospitals, and with a strong passion for education, Cindy naturally gravitated to the Clinical Educator position in the NICU in 2007. The eight years she spent in this role taught Cindy a tremendous amount about the value of quality education. Without a strong foundation, no one is able to develop into the best care provider they can be, much less maximize their full potential in any endeavor they may undertake. As growth and change are a natural aspect of life, Cindy found herself seeking and learning about interests separate from the hospital. Her interest in leading a vibrant and healthy life mysteriously directed her into the path of esthetics. What a joy! As we all know, beauty truly comes from within, but what a wonderful gift to be able to assist other people interested in enhancing their own beauty. Be it skin care, skin treatments, nutrition, or stress management, we all can use a little support and education in order to be the best we can be! The White Magnolia Advanced Skin Care Institute is the perfect vehicle for Cindy to get to continue her passion for education to develop high quality, detail oriented, professional, and critically thinking estheticians. As each student passes through the institute, Cindy is continually amazed and delighted at the exceptional caliber of students and professionals with whom she is introduced!! Every day is a joy and she is incredibly lucky to be among such wonderful people!!! It’s about the skin….but it’s not about the skin!! !